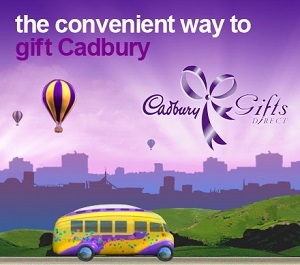 With Royal Wedding fever having reached fever pitch at the recent celebrity-filled union of Prince Harry and Meghan Markle in Windsor, one of the more unusual items of memorabilia has been unveiled in Cadbury World, Bournville. 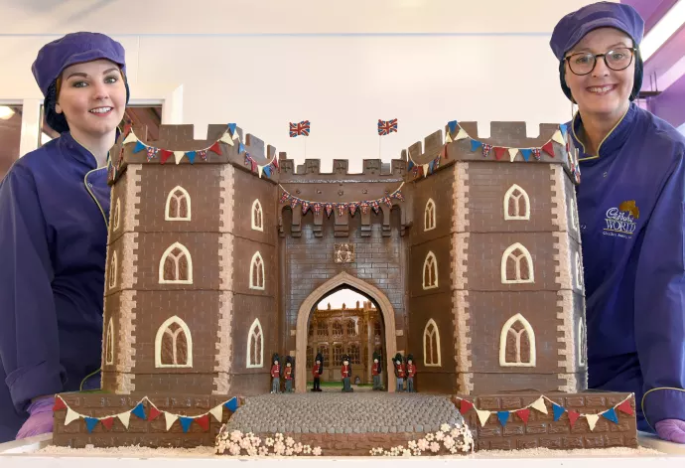 This 50kg replica of the front façade and turrets of Windsor Castle was created by chocolatiers Dawn Jenks and Eve Turner, and features the Henry VIII Gate with St George’s Chapel visible in the background. The 75cm tall edible structure is the equivalent of 1,111 bars of Dairy Milk and took four days to build. The chocolatiers hand-scored each brick of the castle and placed an intricate coat of arms above the gate. Covered in black and silver lustre, the masterpiece features red-white-and-blue flags and bunting. It’s made from a mixture of milk and white chocolate with hand-piped detailing, and is adorned with delicate chocolate flowers. The whole thing is guarded by eight handcrafted soldiers in red jackets and Bearskin hats. It’s the latest in a line of royal-themed creations from Cadbury World, following on from a chocolate rocking horse to mark the recent birth of Prince Louis. Other delights include a chocolate pram for Princess Charlotte, a chocolate cot and toys for Prince George and a replica of Buckingham Palace to celebrate the Queen’s 90th birthday, naturally made from chocolate.